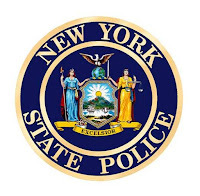 YORKSHIRE -- New York State Police Troopers from the Machias barracks responded to a reported electrocution on Block Road at approximately 4:36 p.m. Wednesday. Upon State Police arrival, Delevan EMS was on scene and performing CPR on the victim, James R. Fogg, 39, of Fairfield, Maine. An investigation revealed Fogg was in the area working for S.G. Communications, running cable television lines in the area. Fogg was in the basket of a bucket truck when he came into contact with a primary electric line, causing him to be exposed to high voltage. Fogg was transported to the Bertrand Chaffee Hospital, where he later died as result of his injuries.